This will prevent Between the Bind from sending you messages, friend request or from viewing your profile. They will not be notified. Comments on discussion boards from them will be hidden by default. 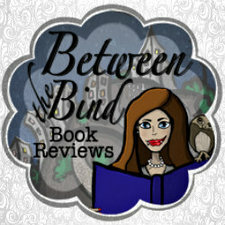 Sign in to Goodreads to learn more about Between the Bind. When Margaret Watson reached out to me to review Cover Me, I was more than happy to jump back into my love of reading and enjoyment of reviewing after having my first child. I swear, I've been reading so many parenting books and on Mommy Blogs by bra When Margaret Watson reached out to me to review Cover Me, I was more than happy to jump back into my love of reading and enjoyment of reviewing after having my first child. I swear, I've been reading so many parenting books and on Mommy Blogs by brain NEEDED this like my cup needs another refill of coffee. Although I never read books out of order, I didn't do any research other than reading the blurb emailed to me and easily decided that Cover Me was exactly what I needed to get over my new Mama reading slump. We’d love your help. Let us know what’s wrong with this preview of Ecstasy by Jacquelyn Frank. We’d love your help. Let us know what’s wrong with this preview of Jacob by Jacquelyn Frank. We’d love your help. Let us know what’s wrong with this preview of Forbidden by Jacquelyn Frank. A place to find the Book Blog community here on GoodReads! Between the Bind read 104 books of her goal of 100! Take a look at Between the Bind’s Year in Books. The good, the bad, the long, the short—it’s all here.